Each of these issues can lead to product loss or damage, and can prevent cartons from continuing through the supply chain as intended, leading to significant costs in rework, returns, and reshipping. Have chargebacks like these been hitting your bottom line? The Sticky Truth is – they don’t have to. Unmatched wipe-down force: ShurSEAL automated and manual tape applicators deliver superior wipe-down force to drive the tape’s adhesive into the substrate of the carton, allowing for maximum utilization of the adhesive. Superior Holding Power: combined with HP Series packaging tape, ShurSEAL tape applicators deliver the highest holding power to fiberboard in the industry to hold strong throughout the supply chain. Folded-Edge® Technology: an innovative feature of ShurSEAL automated and manual tape applicators that folds both edges of the packaging tape along the length of the carton as it’s applied, Folded-Edge technology results in a reinforced tape edge that eliminates breaks from nicked edges. Retailers are cracking down on case sealing issues with significant chargebacks on manufacturers whose products are delivered with failed seals, adding up to hard hits on the manufacturer’s bottom line. 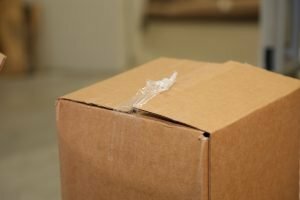 ShurSEAL Packaging Solutions are designed to reduce the occurrence of failed or inadequate case seals, while decreasing tape costs in the long run by delivering reinforced seals with a single strip of tape that can be opened without the use of a knife. Ready to see how you can save money by reducing chargebacks throughout the supply chain? Contact us to schedule a free evaluation of your packaging operation.